Please wear comfortable walking shoes and a light jacket. There are no upgrade options for this tour. Experience a fun day out exploring the highlights of the Gold Coast and a cruise of the Broadwater Estuary. 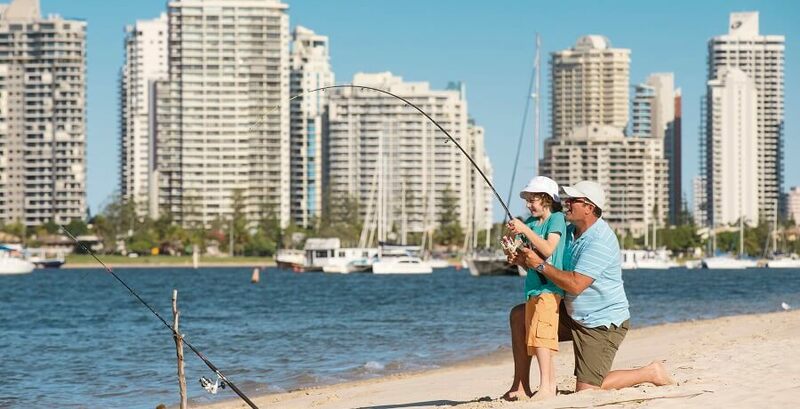 Have a go at fishing, catching crabs and yabbie pumping on one of the nearby sand islands and enjoy a delicious seafood lunch on our Gold Coast City Tour and Surrounds. 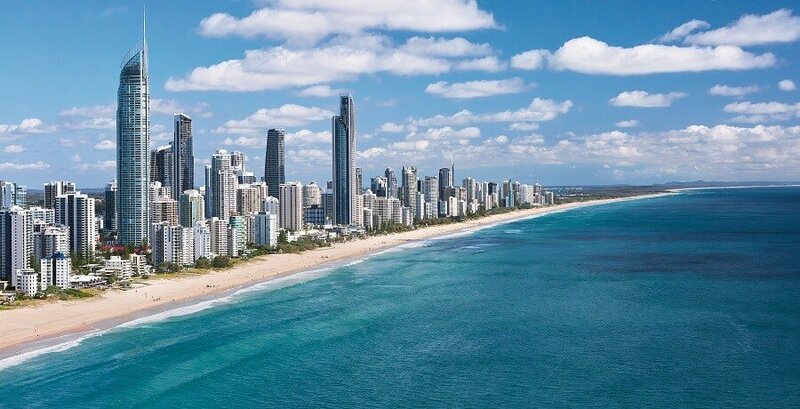 We start the day exploring the highlights of the Gold Coast. Your experienced, and knowledgeable guide will provide full commentary, giving you a deeper understanding of the area. Soak in the stunning views of the surrounding ranges, created by lava thousands of years old. Next, we’ll head to Marlin Cove Marina where we will board our cruise to Broadwater. Here we’ll stop at one of the secluded islands in the estuary, where you’ll have the chance to have a go at a number of fun activities including fishing, yabbie pumping and crabbing. Search for shells and solider crabs on the island and enjoy crab show demonstration to learn more about these fascinating crustaceans. 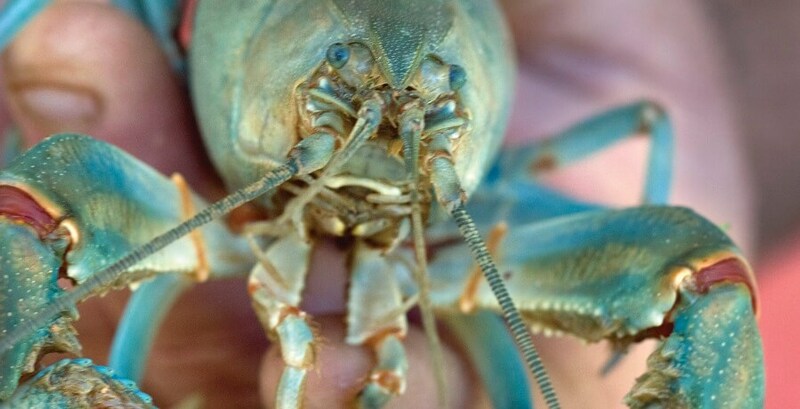 If you have no luck catching anything, don’t worry! We’ll head to our next island in Pelican Beach, another sandy islands in the estuary. Here, you can enjoy feeding the local pelicans who arrives at the island for their daily serve of fish. After a day of fun filled activities, we head back on board the boat, to enjoy a delicious seafood lunch including crab tasting! 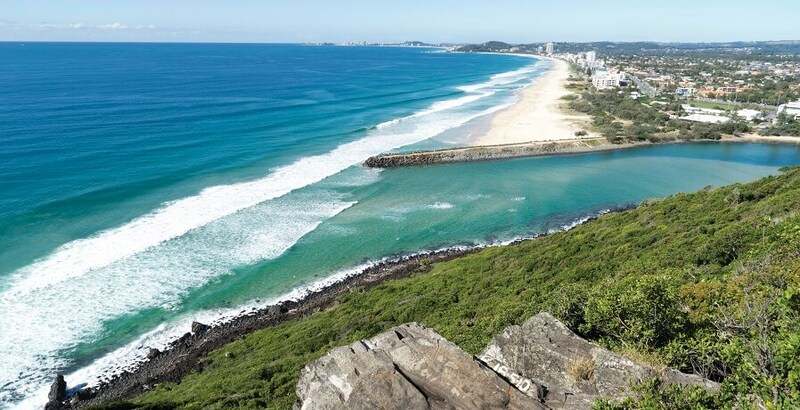 After we’ve refueled, we’ll start making our way back to the Gold Coast and take in the wonderful local sights including Burleigh Heads. 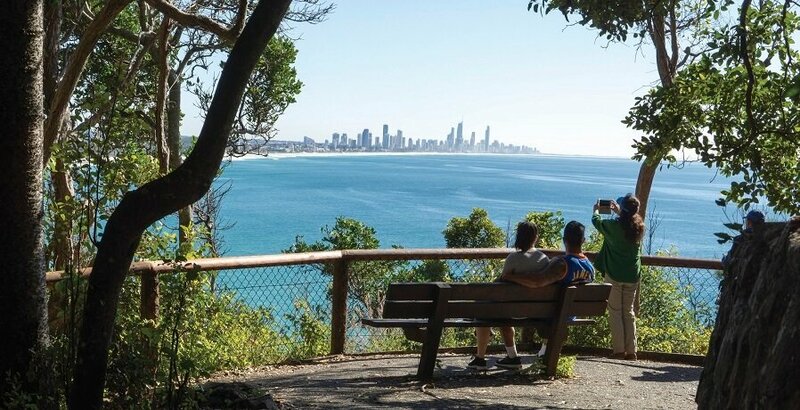 We finish our day with great memories and picture-perfect Instagram photos of the beautiful Gold Coast City Tour and Surrounds. 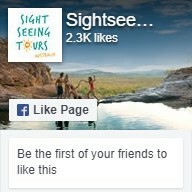 Why not check out our other Gold Coast Tours?